D Contemporary is celebrating summer and welcomes 25 UK based artists representing contemporary art. 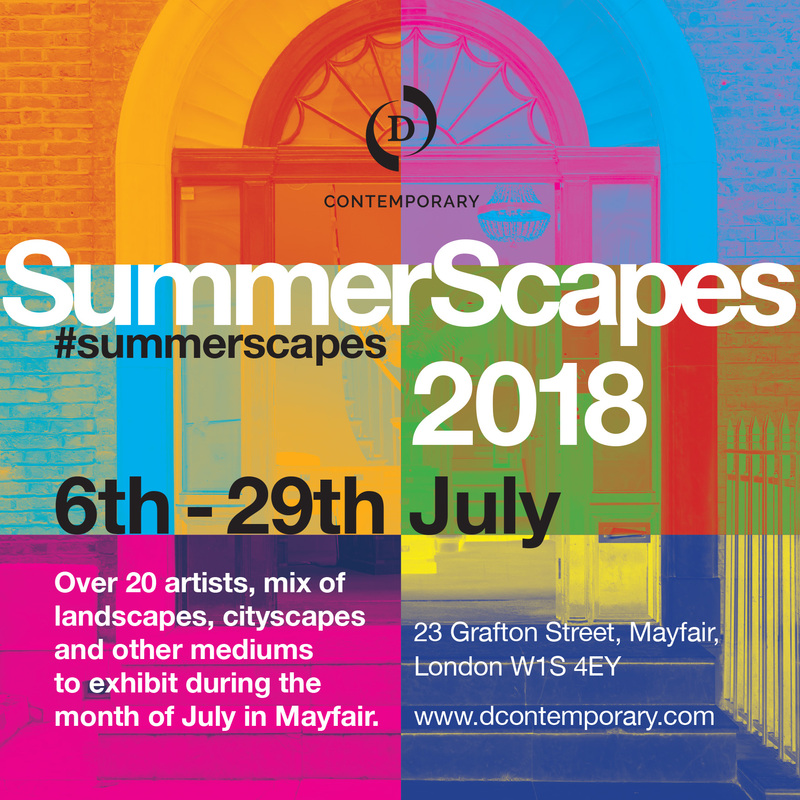 Summerscapes is a panorama of landscapes, abstract and figurative art in a variety of media, including painting, sculpture, photography and architectural works. The show will feature the artists: Robert Adam, Farah Bellio, Sophy Bristol, Sarah Butterfield, David Cottingham, David Fawcett, Sarah Fosse, Roger Hooper, George Irvine, James Kerr, William Mackesy, Harry Parker, Bryn Parry OBE, Mark Pearson, Will Pierce, Annabel Playfair, Doug Scott, Michael Sofroniou, Meera Solanki, Richard Tait, Caroline Thomson, Luke M.Walker, Michael Wallner, Philip Williams and Melanie Wright.